The island of Madeira, nicknamed the "Pearl of the Atlantic" is a Portuguese island located at about 1000km south-west of Lisbon and at 700km west from the Moroccan coasts. 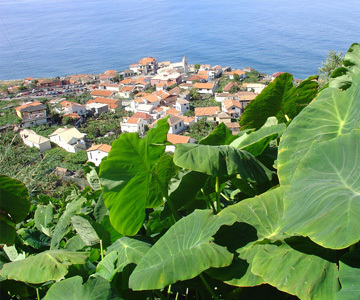 Madeira, a volcanic island, is famous for its incredible and endemic vegetation (such as the Madeira orchids, digitalis and blueweed) that have been able to survive thanks to the Gulf stream and thanks to the insularity of the island. This island's flora is protected by the UNESCO as it is a unique and very sensitive vegetation. 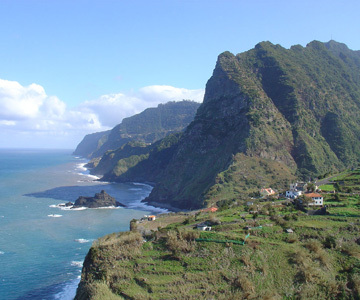 Some other characteristics that define Madeira are its high and abrupt cliffs, its mountain summits witness of the island's passed volcanic activity. Farming is still a major activity on this island today as show the many "poios" (terraced lands) still worked and harvested by the locals in even the most remote areas of the island. Sugar cane, apples, bananas , sweet potatoes, tobacco and many more and produced on the island. The irrigation system is possible thanks to the many Lévadas -small canals- that gather the water from endless water streams of the North of the island. These canals are an incredible manner to discover this island, thanks to the many paths that are along them. 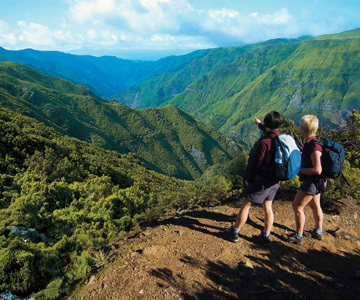 The diversity of the landscapes makes Madeira the perfect island to hike. In its green scenery, the island was colonised in 1425 by Portugal, nearly five years after the accosting of the explorator Joao Gonçalves Zarco. The towns and villages that have been established on the island can be considered as an exeample of the Manuelian and Azoulejo influence in the buildings' architecture that were constructed during the golden age of the Portuguese empire. This has made the beauty of cities such as Funchal, a wonderful example of this type of architecture.